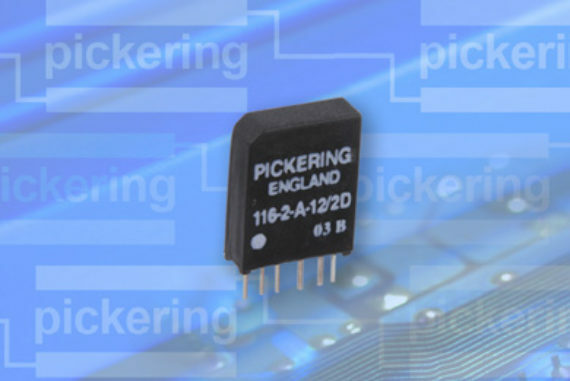 All Pickering reed relays feature the highest quality instrumentation grade reed switches making them suitable for the most demanding test applications. Internal mu-metal magnetic screens (optional on Series 103) allow very high packing density. Diodes are optional. 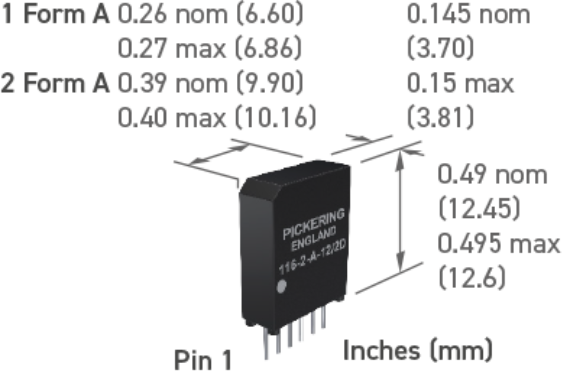 The Pickering Series 116 is a range of Single-in-Line (SIP) reed relays intended for very high density applications such as A.T.E. switching matrices or multiplexers. They have a switch rating of 10 Watts, 0.5 Amps and are pin compatible with the Pickering Series 117 reed relays which have a lower power rating of 3 Watts and a lower profile height of 0.38 inches (9.65 mm).